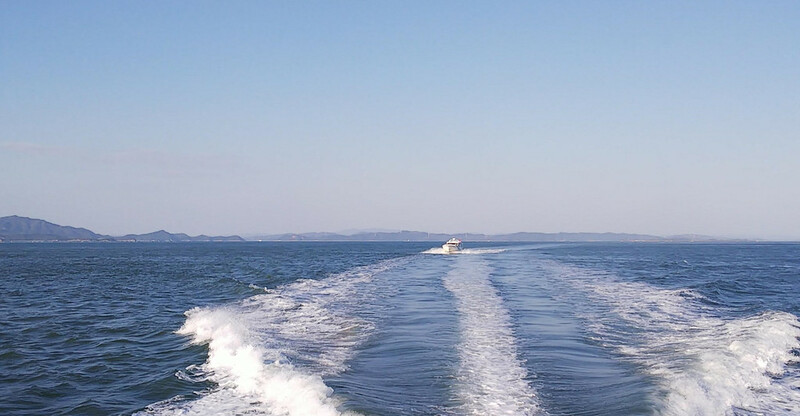 After visiting Shodoshima, today, let’s head to Teshima with a quick visit of various spots on the island. 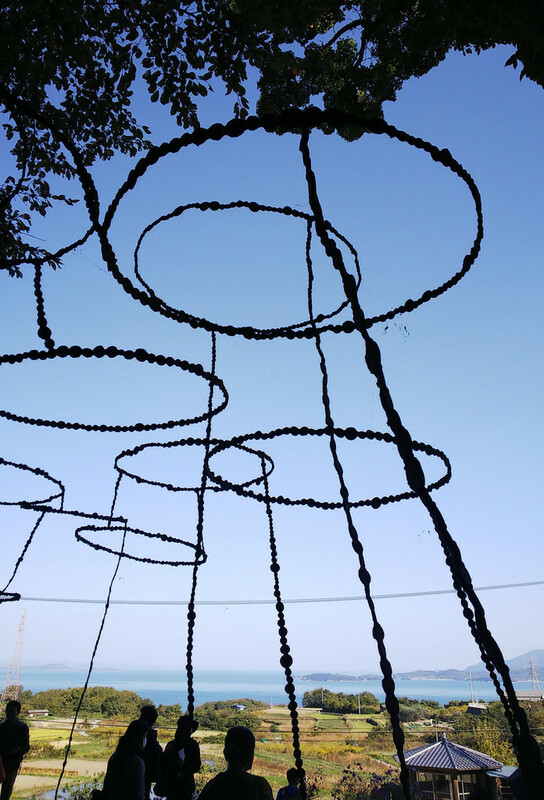 Just like the previous visit, it was made with some people from Koebi and the Setouchi Triennale‘s Organizing Committee. I’ll probably disclose the reason later, when it’s all said and done. 😉 (yes, I know I’m being a bit mysterious here, but it’s not a big secret, if you follow me on Twitter, you probably already know what this is about). Once again, we made a full circle around Teshima. except that this time I had already done it, several times, including a few times on a bicycle, so I guess we can call it a “Tour de Teshima“. It took place a little more than a week ago, and we were extremely lucky to have an amazing weather. However, it’s more and more difficult to rejoice of 22-23°C temperature (that’s low 70’s in Fahrenheit) in mid-November, and I have a harder and harder time being able to think about the future in positive terms. Climate change is here, and it’s going to hit us hard sooner than later and harder than expected. In the meantime, let’s try to stay positive, at least until the end of this post. 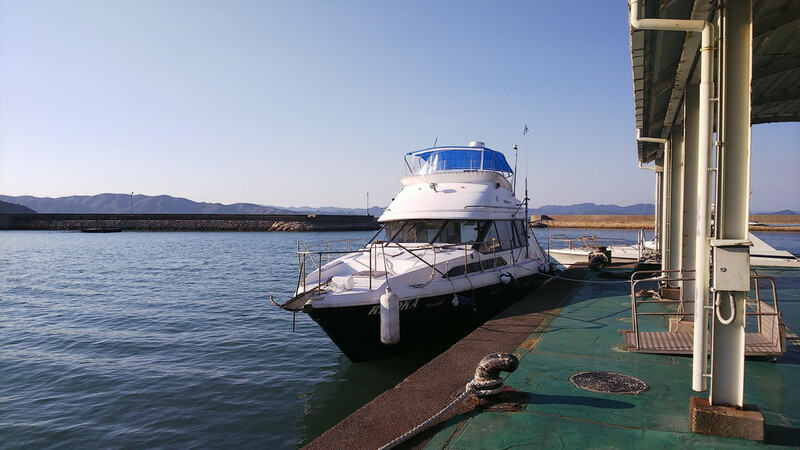 This time, we went to Teshima on a taxi-boat, a much faster way to go than a regular ferry, but you must not be prone to seasickness. One more preliminary remark before we really jump on today’s topic. 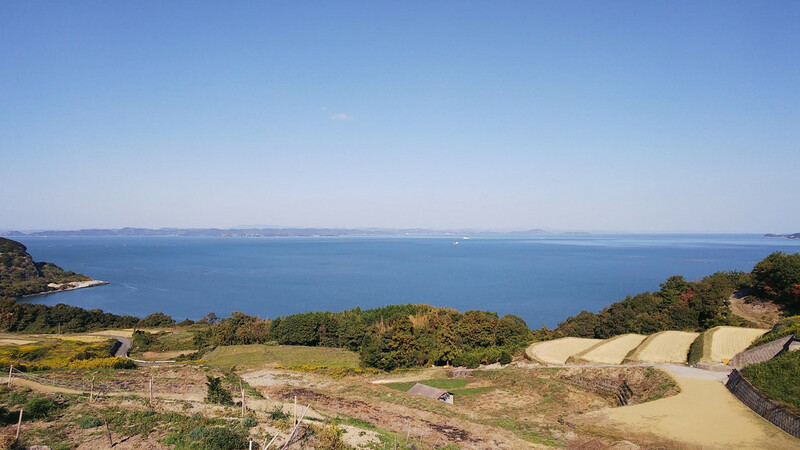 Even 4-5 years ago, when I visited Teshima, I usually was the only Westerner on this island that day. Last week? We ran into only a handful of non-Westerners. Yes, we can say that the island is now famous in the West, probably even more so than it is in Japan. I’m still not sure if it’s a good or a bad thing, but I can’t help being amused when I hear here and there that it is “off the beaten path.” That path is being beaten quite hard and quite often in my opinion. 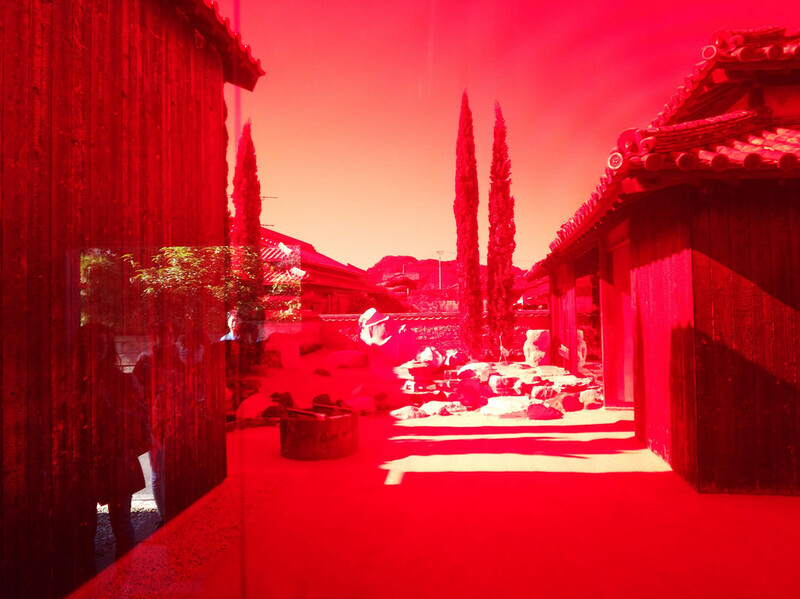 First stop of the day: the Teshima Yokoo House in Ieura (“Yokoo” is pronounced “Yoko-o”, it’s two ‘o’ sounds). 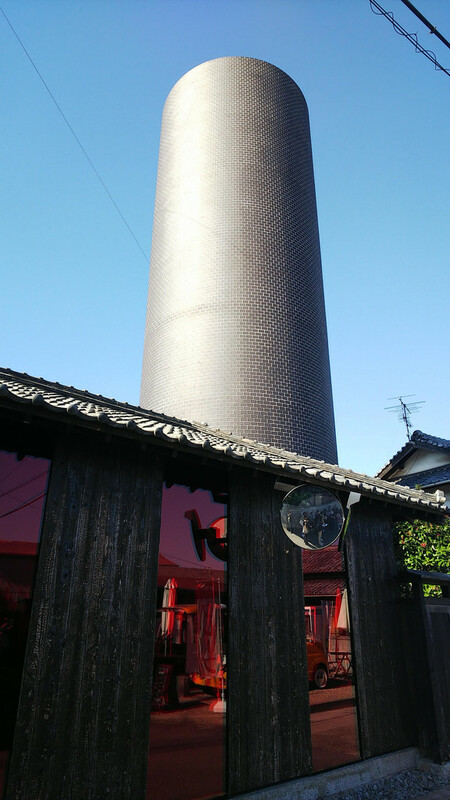 I’m never sure whether I like the Yokoo House or not. I’d say that I love the building, but that I’m less of a fan of the paintings inside. However, this time, I really took the time to look at each painting closely and we were with an official guide (from Benesse, I assume), and it helped me appreciate it much better. One piece of advice concerning the paintings: do not apprehend them individually, but as a whole, or rather in relation to each other, to the house and even to Teshima to a certain extent. I can’t really explain more here, as it’s impossible to take pictures inside the house, and without seeing what I’m talking about it won’t make much sense to you. Another tip about the Yokoo House: go to the restrooms. Really, go. Please note that this picture is not photo-shopped at all, not even just a bit. It’s also the last picture you’ll be allowed to take before entering the house. Taking this picture I noticed something I hadn’t before, the cypresses are not there randomly (hint: Arnold Böcklin). Next, we walked back to the port terminal where we hopped on the bus that was waiting for us in order to start this tour of the island. We first went to Koh. I have a very soft spot for Koh (probably related to great experiences there – here is one and another one), and I don’t go there often enough. Unfortunately, we didn’t stop. The Teshima 8 Million Lab is closed for the Winter and, if every year, I wonder how long Distant Memory is going to last, I’m afraid that this time it really is the end. The installation is literally falling into pieces and apart. 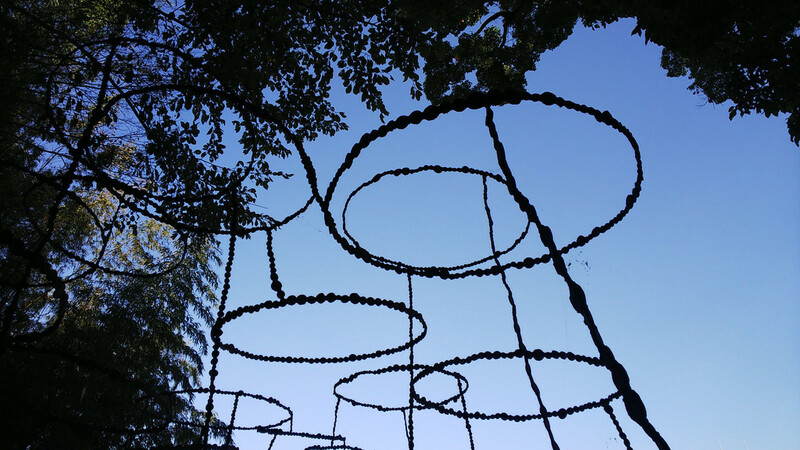 As Chiharu Shiota is listed on Teshima for next year, I’m not sure if that means she will rebuild it, or she will make a completely different artwork. We’ll see in due time. 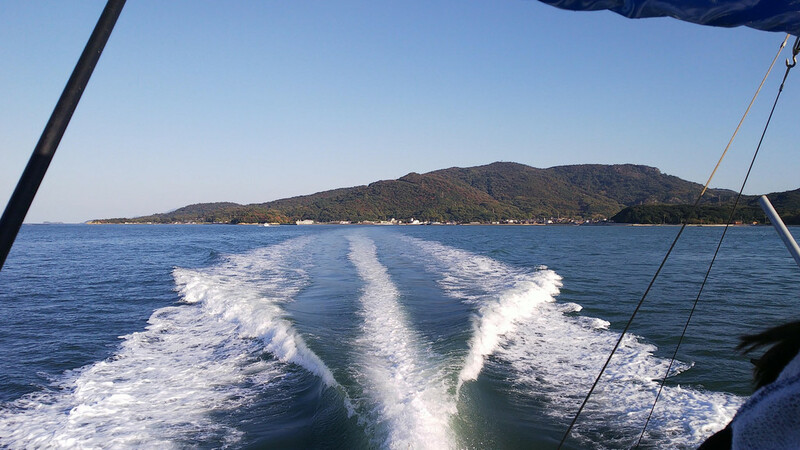 From Koh, we headed to Karato-oka (if you’re not too familiar with Teshima’s geography, just like for the post about Shodoshima, may I suggest that you follow along with the mapping software of your choice – unless you have a paper map of the island with you of course. Once again, no picture of the short trip between both villages. It is the “problem” with this kind of visit, one cannot stop wherever and whenever one wants. However, also note that if I’m presenting this day trip mostly from a tourism perspective, tourism wasn’t really the goal of the visit at all, it was just a “byproduct.” Hence the small number of pictures and only of some locations. 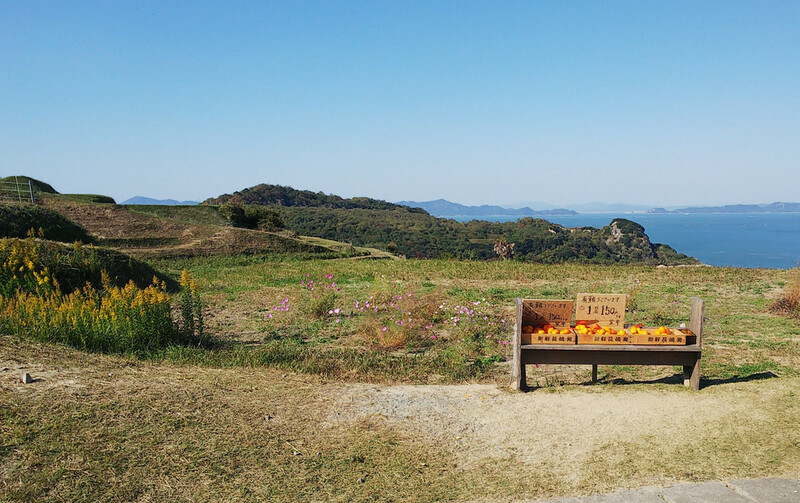 All of this to say that when you go to Teshima, make sure to go there and enjoy the scenery (using bicycles is more convenient than bus in this case) as this part of the island is more or less its heart. 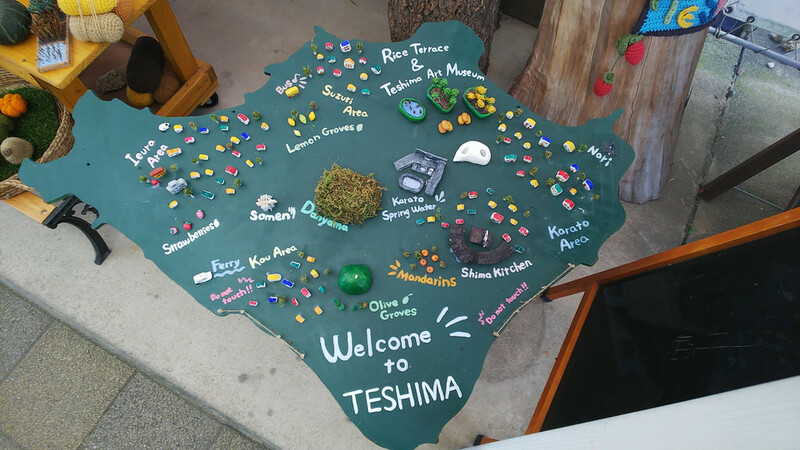 First, that’s where most of the things that grow on the island do grow (Teshima means Island of Abundance by the way). 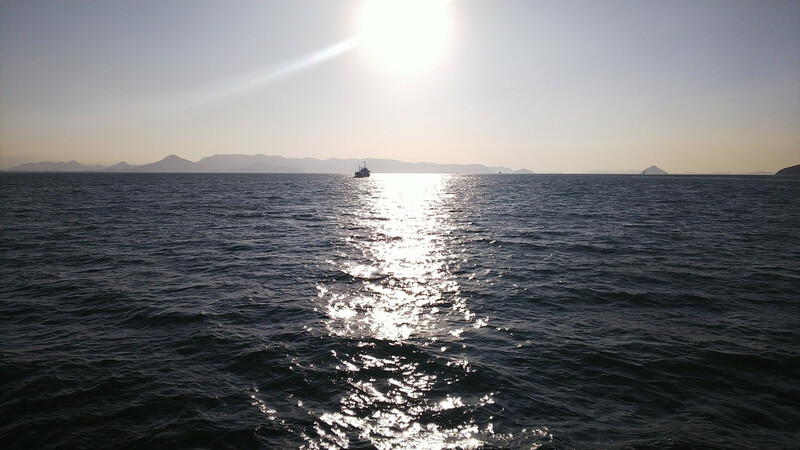 Also, it has some of the most beautiful views of the Seto Inland Sea. As it was time for lunch, we did so in Karato’s Community Center. It was a good time to get to know some of the people who were with me. We were a much more eclectic group than I had first assumed (including a former and future member of Koebi-tai who comes from Hong Kong and who studies anthropology, a web-designer who, just like my friends on Ogijima, decided that living facing one of the most beautiful views on Shodoshima was much better than living surrounded by concrete, so he moved there a couple of years ago, a Kagawa native who just returned from 12 years abroad (mostly China and Singapore), a woman who also returned from several decades in the US, one of the very first Koebi-tai members, a friend of a friend who’s also a guide in Ritsurin Garden and a few more). 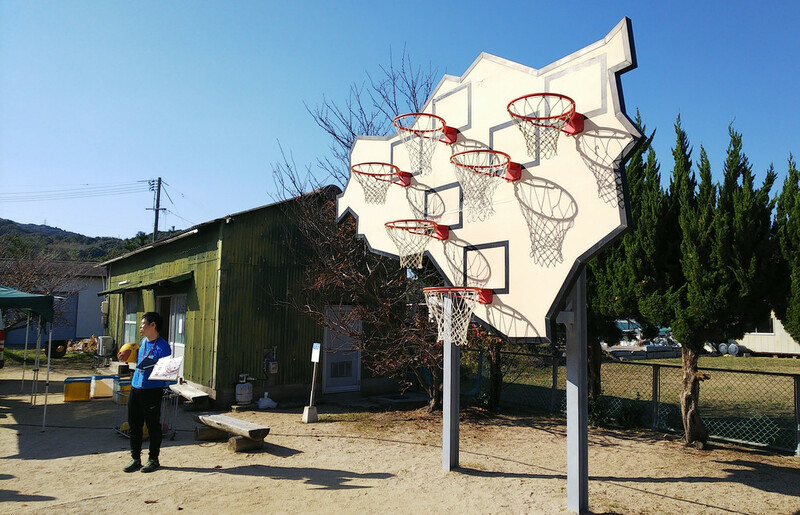 Visitors and tourists very rarely pay attention to it, which is a shame because it’s of the greatest importance in the history and makeup of Teshima. See, most of the islands in the area do not have freshwater springs and were – until quite recently (I’m talking second half of the 20th Century) – totally depending on rainfalls for all their water needs. Not Teshima. 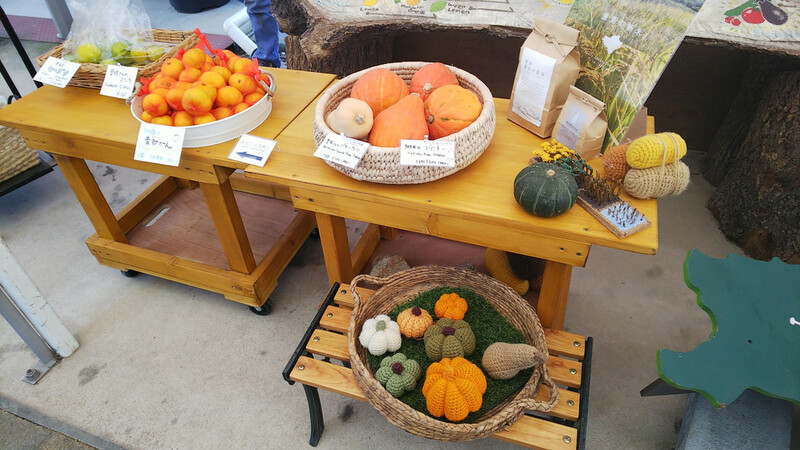 Teshima has a water spring that allows its inhabitants to have as much water as they need, for drinking, home usage, but also growing lots of fruits and vegetables, and last but not least, for growing rice! 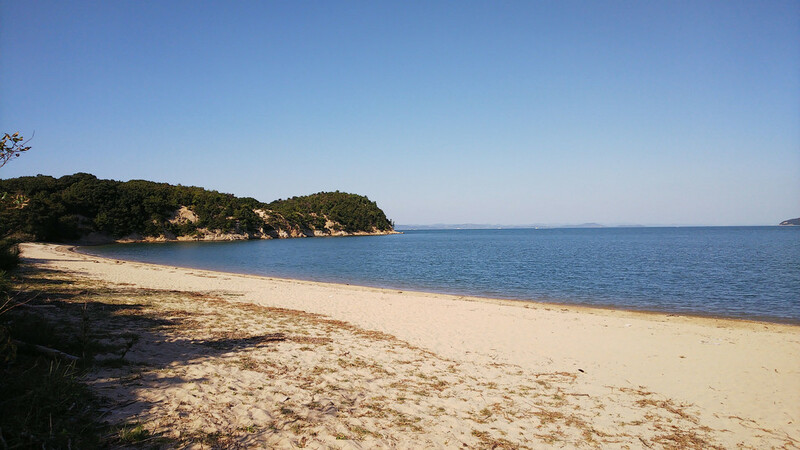 Thanks to Karato Shimizu, Teshima is the only small island of the area that can grow rice (Shodoshima not included, but Shodoshima is not considered a small island around here). A few lines above, I told you that Teshima means Island of Abundance, you need to look no further for the origins of that name. Of course, nowadays, the island has running water, but it is said that a lot of the elders from Karato still like to go get their drinking water from the spring as they say it is much much better. You can actually fill your bottle with it (not from the pond, not sure the one in the pond is drinkable). 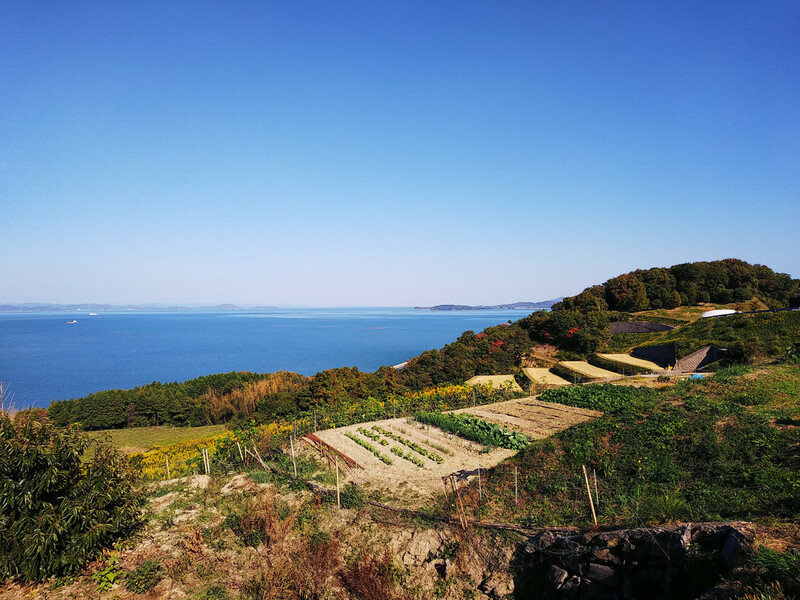 After visiting the water spring, the logical next step was one of the most beautiful spots on Teshima and probably in the whole region: the Teshima Tanada Project. Those are terraced rice fields, and not just rice fields as vegetables and even cotton are grown there. 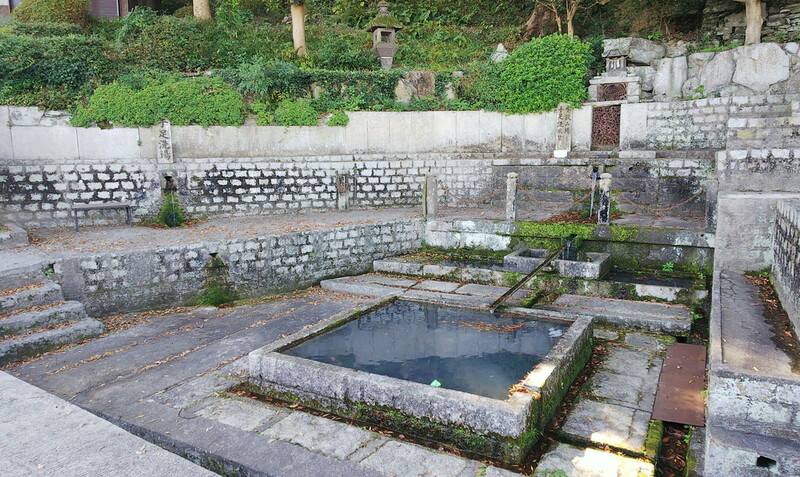 Located between Kataro-oka and the sea (that is downhill from the water spring). Those rice fields had been existing for who knows how long, but had been abandoned and fell into disarray when the effects of the island’s depopulation started to be felt. 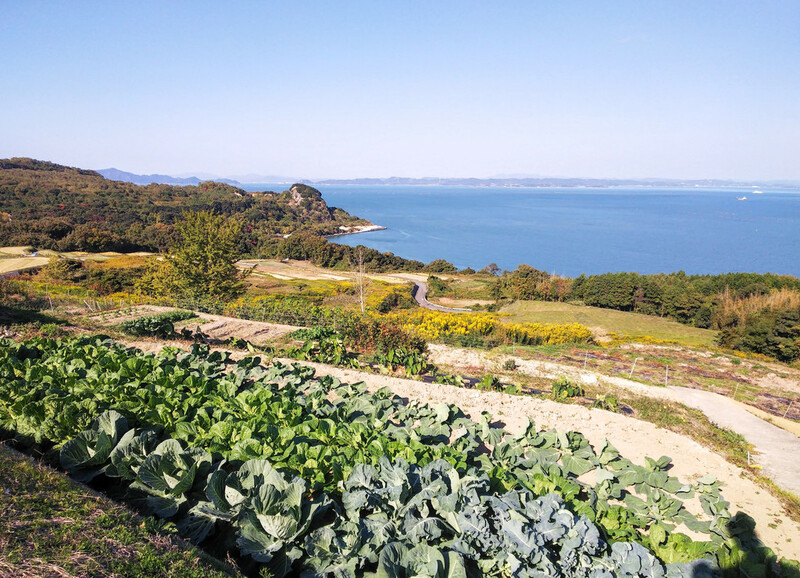 However, they were renovated and planted again in 2010 (and each year since) as a part of the revitalization of the island and in association with the Teshima Art Museum as the fields also serve as its backdrop. The last leg of our trip was downhill to Karato-hama where I hadn’t been for way too long. As I’ve already told you I’m particularly fond of this village (in two parts). I have been since 2010, and I try to visit at least once a year, usually on October 21st, for its matsuri which is one of my very favorite matsuri in all of Japan (except that I missed it again this year, I’m inconsolable). I scored a basket at my second attempt this time, quite a feat when you know of my basketball skills (they’re pretty much non-existent). There were 20 people or so looking at me, I guess I just couldn’t disappoint. Next episode of the series in a couple of weeks. 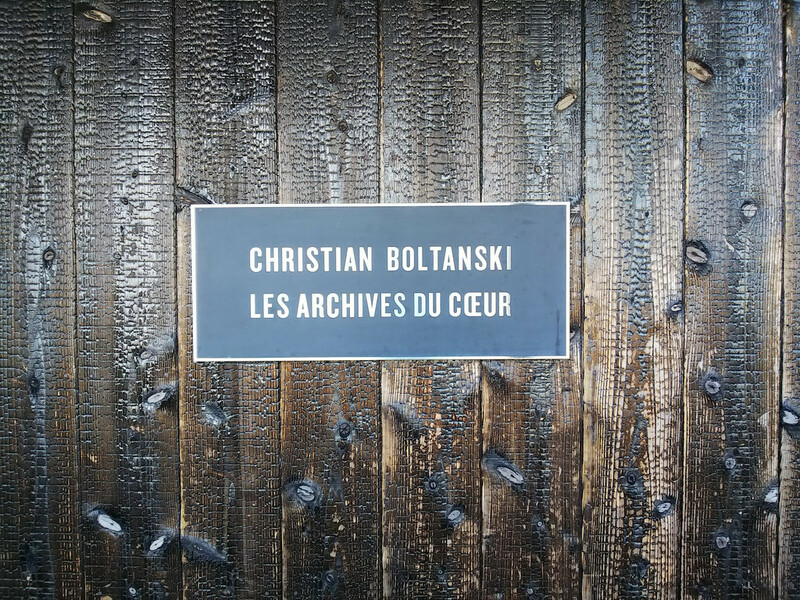 Subscribe to the blog to get notifications of new posts directly by e-mail. Follow me on social media: Facebook, Twitter, Instagram. 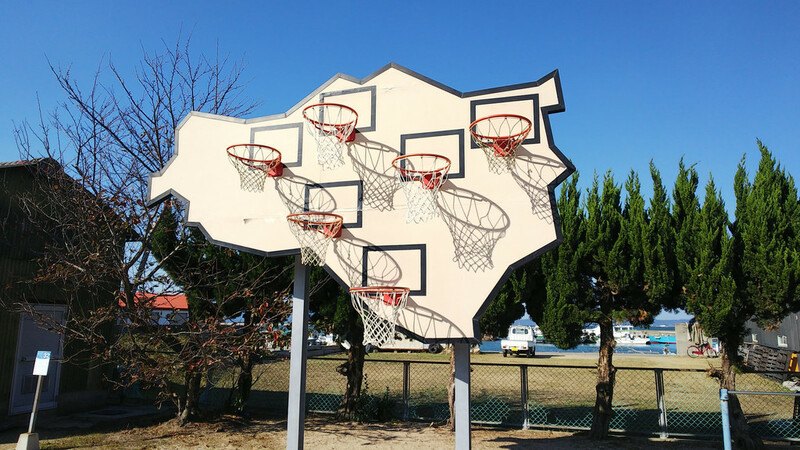 I just started a Facebook group about the Setouchi Triennale, feel free to join and use it as you see fit. 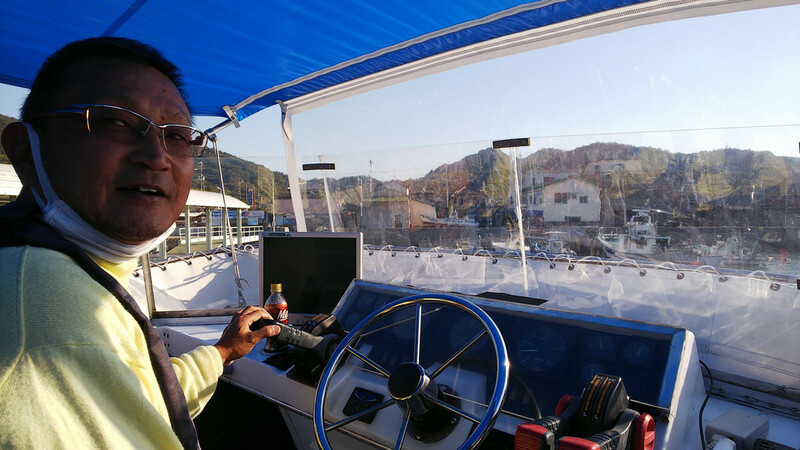 David, what’s the story on taxi boats? Thanks for the tour, David! 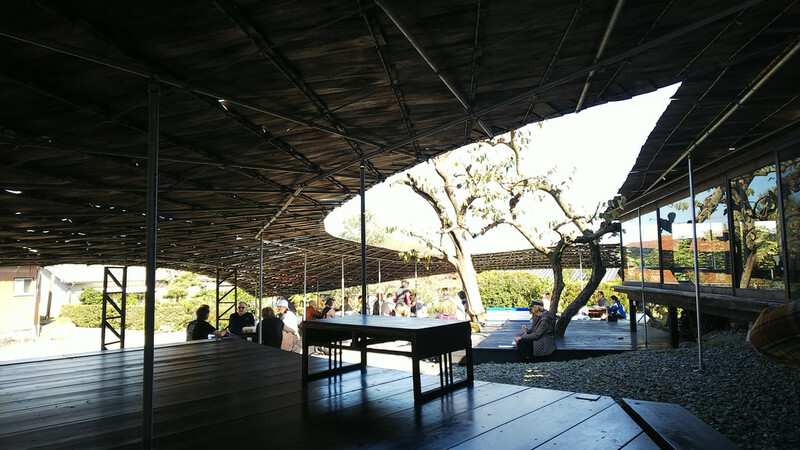 When I visited Teshima during Setouchi 2013, the weather that day was pretty awful and then all visitors got rushed off the island because of an approaching typhoon, so sadly didn’t get to see very much. Plan to rectify that in 2019! ps Totally agree with you about the Pipilotto Rist piece. Huh?? But loved Storm House (which was particularly atmospheric the day we were there). On no! I can’t imagine a typhoon during the Triennale. (I can’t remember that particular one, I must have stayed home that day, although I may have had to go to work that day 🙁 ). Nowadays, when I go see “Your First Colour” I just enjoy the colours without caring much about whatever sense the movie is trying to convey. That’s the way I found to appreciate it. Storm House is awesome. I haven’t seen it in far too long (it wasn’t part of the trip the other day). Can’t wait to see it again next year.